We started 2013 with a three-year old and a nine-month old. In January, Charlie was newly crawling and Eddie gave up his Pipey during the first week of the new year. It’s hard to believe Eddie has been pacifier-free for a whole year. February brought snowy weather and Charlie’s first steps. March was a big month. Charlie turned one and I turned thirty-five. Birthdays are big deals, yo. Oh, and I got glasses and a new hair stylist. Those are big deals too. April was a celebration month too. Cortney was honored for being in the top 5% of his graduating class and my parents celebrated forty years of marriage. We also celebrated spring break, Easter, and the start of the Tiger baseball season. May was the end of the school year, the release of The Great Gatsby in theaters and Tulip Time. It was also Memorial Day and when Eddie and I decided to plant a garden for the first time. Eddie took swim lessons and Cort graduated from college. I did the Stomp Out Stigma for Mental Health Awareness Walk with my sister-in-law and my writing was published in Baby Talk Magazine. Mother’s Day happened and so did my first taste of Listen to Your Mother. June is Eddie’s birthday month and this was the year he turned FOUR. Cortney and I also celebrated eight years of marriage while summer break started. Father’s Day happened and so did Eddie taking gymnastics. We went to the zoo, played with friends, and welcomed a new little friend into the world when my best friend gave birth to her first. July was so very busy! Cortney and Eddie went camping. Cortney and I went to Pearl Jam at Wrigley in Chicago. BLOGHER happened! We hosted a neighborhood ice cream social with two other families. We hit the beach a few times and took boat rides on the Big Lake. We said goodbye to Granny’s pool as she moved with Grandpa to a condo, and we cleaned up my classroom after a vandal destroyed much of my personal stuff. August was difficult. We lived through another year of wishing Cortney’s dad was here. Friends lost babies and loved ones. I took on too much too close to the start of the school year. But we had good times too. Lots of friends and fun. We took a family “vacation” to the cottage with the rest of my family and spent fun in the sun. And then I went back to school. September brought a new school year. I was at the high school full-time instead of split between the high school and junior high. I was teaching English instead of Spanish. And I was teaching a college composition class. Eddie started preschool and we started going back to church more regularly. We also got the devastating news that our unborn niece was going to die. October brought more and more words out of Charlie as he ran through life. He also started expressing frustration with tantrums. We talk a lot about heaven because our niece Arabella went from womb to heaven. We choose pumpkins and costumes. November was parent/teacher conferences and an ear infection for me (that I don’t take care of until December. Oops). Both of our nieces turn one. Our nephew Ezra is born. Cort starts a new job (no, I haven’t talked about this. Yes, there is a post coming on it because it’s sort of huge for our family). Thanksgiving rounded out our month. December saw Cortney turn thirty-five and also has a colonoscopy. We celebrated Advent and watched Eddie sing in the church’s children’s Christmas program. Christmas brought us joy and Charlie’s vocabulary has quadrupled. And here we are. The last day of 2013. It was a good year. A year of plenty and joy and saying YES to opportunities. 2014 is tomorrow and I have lots on my mind about that…but…tomorrow. 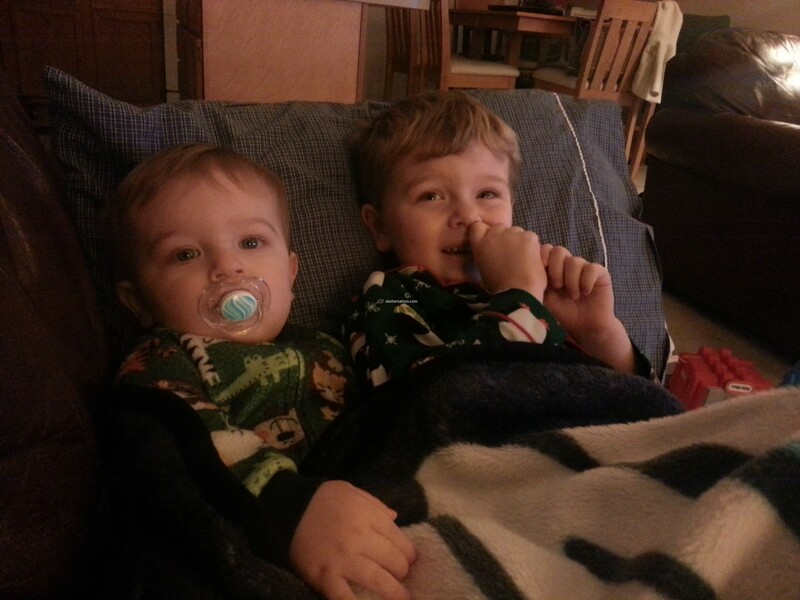 Oh, and for reference, we are ending the year with a four-and-a-half-year old and a twenty-month old. I love this look back on the year, and am so happy that I was there from January! Your men are so handsome! Love this! I didn’t really get to meet you until the second half of the year, but I’m looking forward to not missing a thing in 2014.
woot for reflecting! and woot woot for the new year! When did your boys get so big? I remember reading your blog (before i knew you) when Eddie was very, very young. What a great look back on the year that was. 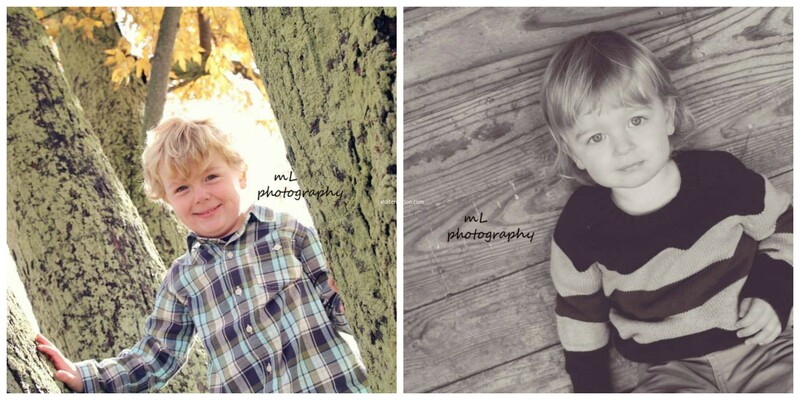 They grow so much in a year, don’t they? Happy New Year to you and your family, Katie!